"The Sleepwalker Killing" is a thriller (drama suspens - 97 mn), diffused on April 28, 1997. The director is John Cosgrove with Lyle Slack as scriptwriter. It's a TV movie based on the book of June Callwood. The story is true. The studios are First Look Studios. 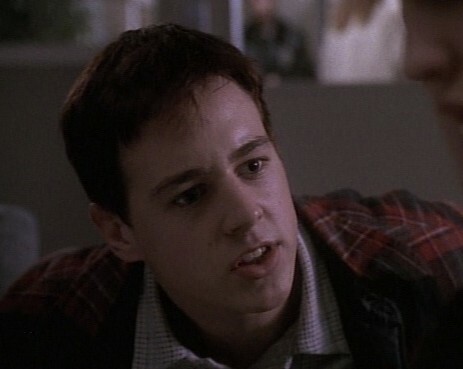 Sean is Christopher Lane, brother of the main character. Synopsis: Based on a remarkable true story. Lauren is in a state of shock when she learns that her husband is the primary suspect in the murder of her mother. The only possible explanation for this brutal crime is that he committed the act while in a state of sleepwalking. If she stands by her husband she may lose her relationship with her father, brother and sister. If she does nothing and her husband is innocent, she must face her daughter and a heard filled with guilt for the rest of her life.